Changes only cut potential borrowers from the lending pool, VantageScore says. The Great Recession and the housing market crash left a bitter taste in the mouths of lenders who issued loans to subprime borrowers – a practice that economists say contributed to causing these events. In an attempt to prevent additional losses, lenders amended their criteria for borrowing and only qualified consumers with a thick lending file. Lenders wanted to see borrowers with at least three accounts who had activity within the past six months, and mortgage borrowers who had a credit file from all three of the nation’s credit reporting agencies – Equifax, Experian and TransUnion. 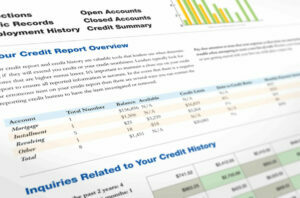 Creditors excluded “thin file” consumers from their lending pool. This refers to consumers who have a credit report, but with a limited credit history not long enough to generate a score. 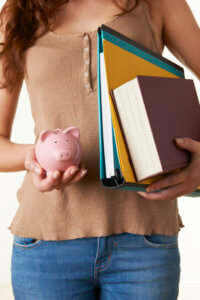 Such consumers are regarded as inexperienced credit managers and are viewed as risky. This move reduced the number of borrowers lenders would extend credit to, but it did little to reduce any actual lending risks. Instead, what it boiled down to is that lenders ended up hurting both their own bottom lines and potential clients with these heavy-handed tactics. VantageScore Solutions a credit scoring model, says in a whitepaper, if “thin file” consumers were welcomed in the lending pool, creditors would gain 60 million additional customers. Sarah Davies, senior vice president of analytics, research and product management at VantageScore Solutions says excluding these consumers has done little to solve the problems facing the lending industry today. Upsiders are considered “thin file” consumers because they infrequently use credit, but they have the potential to be highly credit worthy. “Minimalists” are consumers who rarely use credit but could be good loan candidates or those with only derogatory information in their credit files. 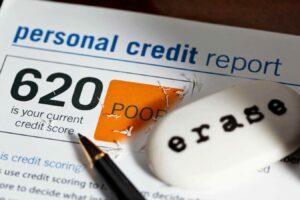 Under the current scoring system a credit score of 620 is considered subprime and consumers would most likely face difficulty qualifying for a loan and higher interest rates if they do actually qualify . The VantageScore 3.0 scoring model says making room for consumers with scores of 620 and above will add 19 million borrowers without increasing default rates. Lending institutions regard thin-file applicants as risky because they cannot accurately assess borrowers’ credit worthiness or character or how well they handle credit. In other words, that borrower may prove they are highly responsible at using credit, but it’s equally possible that they may struggle to manage debt effectively. If you have limited or no credit history a good way to establish credit is by using the credit cards you may have frozen or by applying for a credit card. A short history may make you ineligible for a regular credit card but you can get a secured credit card first and then build on creating a good history and ultimately an excellent credit score. A bad credit score is often taken to imply that you are unreliable and irresponsible, but that may not be the case if you’ve never used credit before or use it infrequently to avoid debt problems. Just keep in mind that scoring agencies use five factors to determine your score so if you make a plan to strategically build credit based on those criteria, then you will be well on your way to having an excellent report and credit score. If heavy credit card debt is tarnishing your credit report and making it hard to keep up with your debt, Consolidated Credit may be able to help you bring those balances down sooner by cutting your interests rates by up to 50 percent. Dial 1-888-294-3130 or request help online by filling out this form.